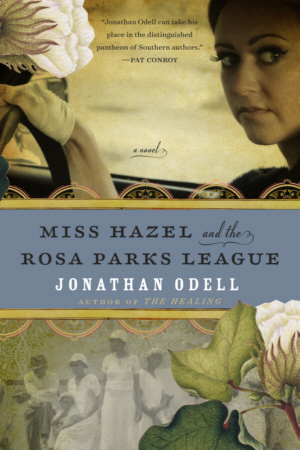 Set in pre-Civil Rights Mississippi, Miss Hazel and the Rosa Parks League is the story of two young mothers, Hazel and Vida – one wealthy and white and the other poor and black – who have only two things in common: the devastating loss of their children, and a deep and abiding loathing for one another. Embittered and distrusting, Vida is harassed by Delphi’s racist sheriff and haunted by the son she lost to the world. Hazel, too, has lost a son and can’t keep a grip on her fractured life. After drunkenly crashing her car into a manger scene while gunning for the baby Jesus, Hazel is sedated and bed-ridden. Hazel’s husband hires Vida to keep tabs on his unpredictable wife and to care for his sole surviving son. Forced to spend time together with no one else to rely on, the two women find they have more in common than they thought, and together they turn the town on its head. Miss Hazel and the Rosa Parks League is the story of a town, a people, and a culture on the verge of a great change that begins with small things, like friendship.